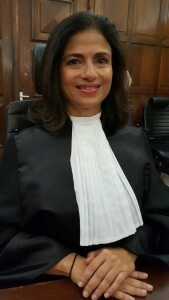 THE HAGUE, WILLEMSTAD - Eunice Saleh was today nominated by the Kingdom Council of Ministers for appointment as President of the Joint Court of Justice of Aruba, Curaçao, St. Maarten and Bonaire, St. Eustatius and Saba. She succeeds current president, Evert Jan van der Poel, on January 1, 2017. Saleh has earned her high school diploma at the Radulphus Hig School in 1984 and graduated from the University of Leiden in 1991. After her studies, she worked for five years in the legal profession in the Netherlands and in Curaçao. In 1996, Saleh started as a judge in training at the Joint Court of Justice and after this training in 1999 became a member of the Court. Since 2009 she is vice-president and board member of the Court, charged with the management of the Courts of First Instance in Curaçao and Bonaire.